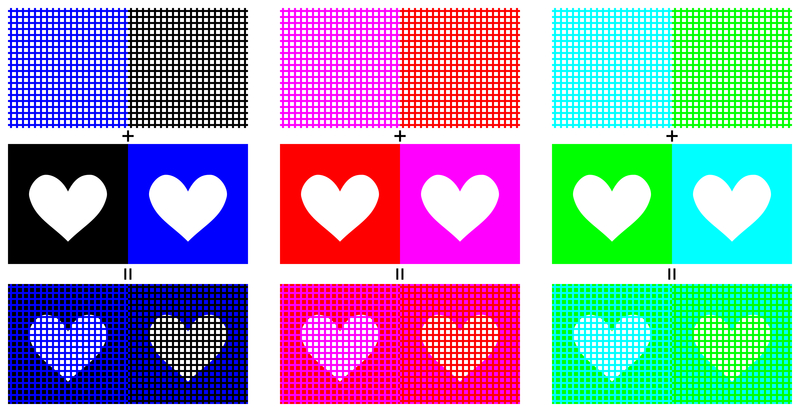 "How to make the four types of brightness illusions"
White's effect White, M. (1979) A new effect on perceived lightness. Perception, 8, 413-416. 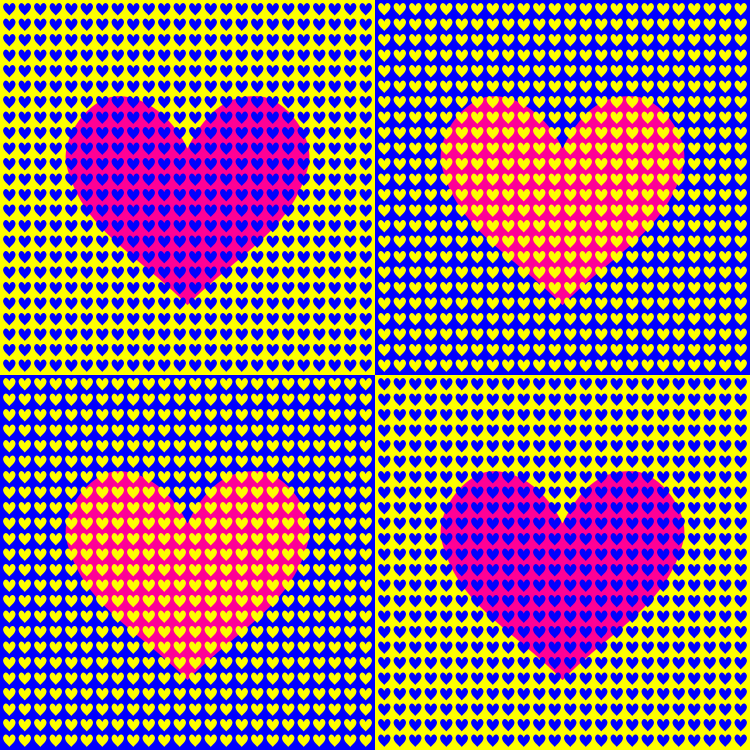 "How to make kibami (yellow-inducing) illusions using the chromatic dungeon illusion"
"How to make kibami (yellow-inducing) illusions using the anomalous chromatic dungeon illusion"
There appear to be hearts of pink, orange, blue and yellow. Actually, pink and orange are the same color (R=255, G=0, B=150). 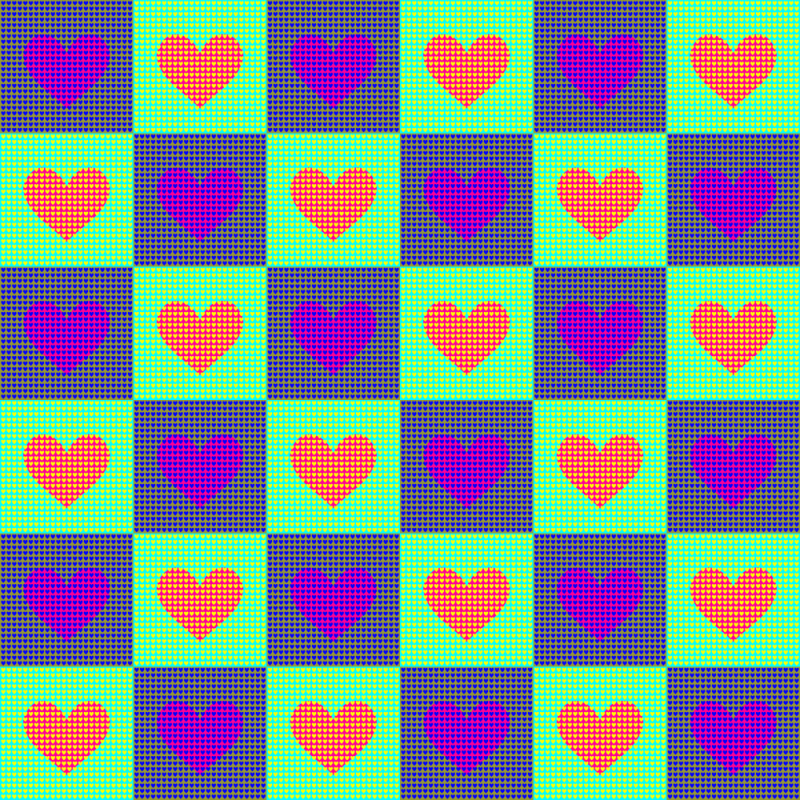 "Hearts of four-color checker pattern"
There appear to be hearts of pink and orange. 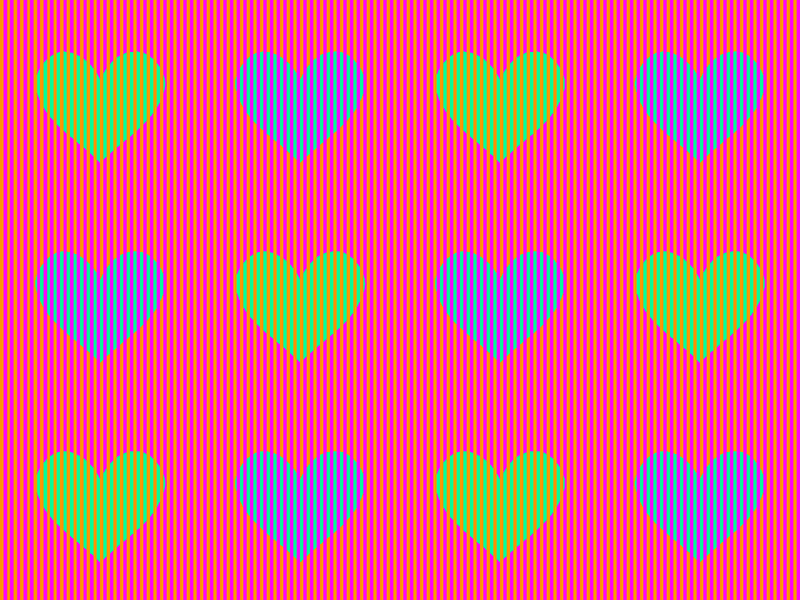 Actually, the apparent pink and orange are the same color (R=255, G=0, B=150). 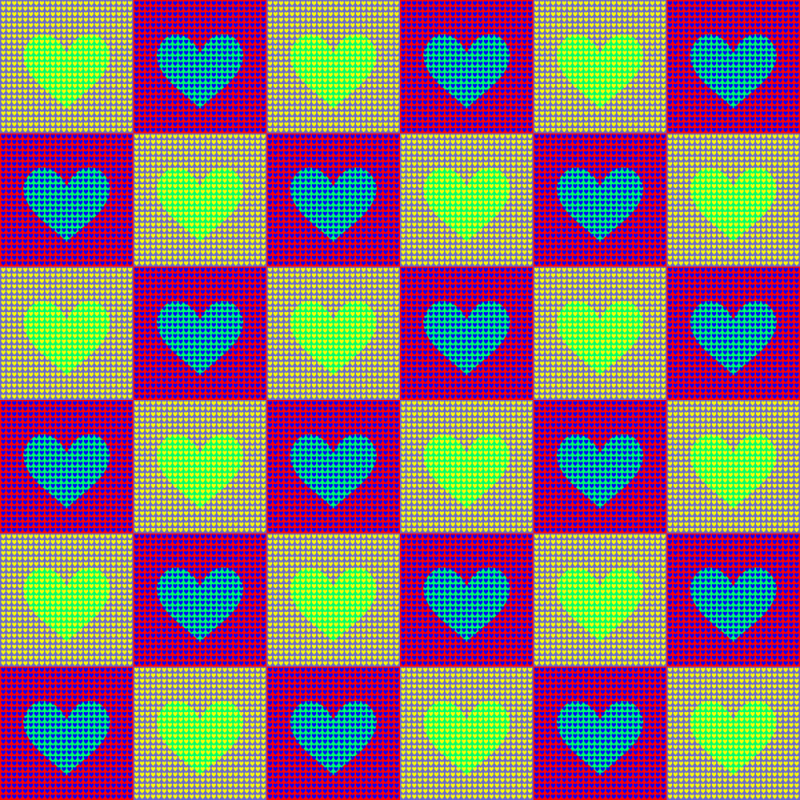 "Hearts of four-color checker pattern 2"
There appear to be hearts of yellowish green and cyan, though they are the same color. 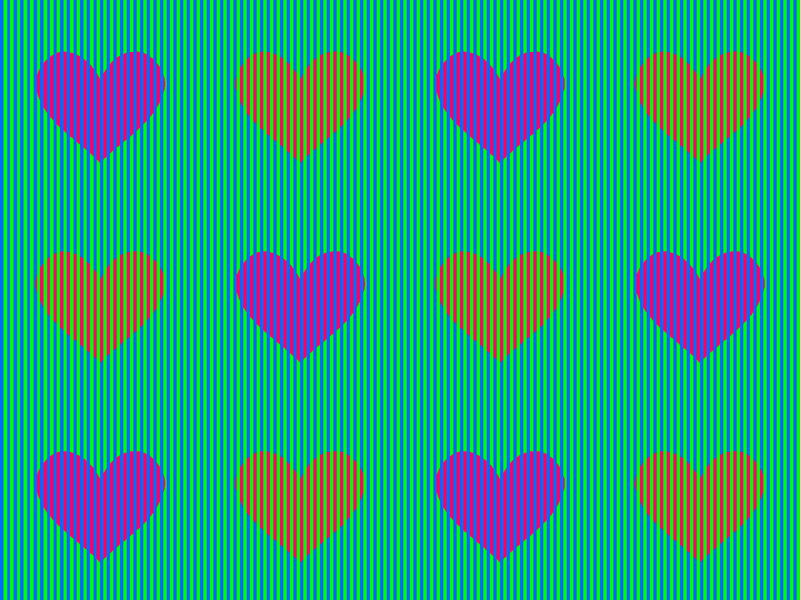 "Striped pink and orange hearts"
There appear to be hearts of pink and orange. Actually, they are identical (R=255, G=0, B=104). 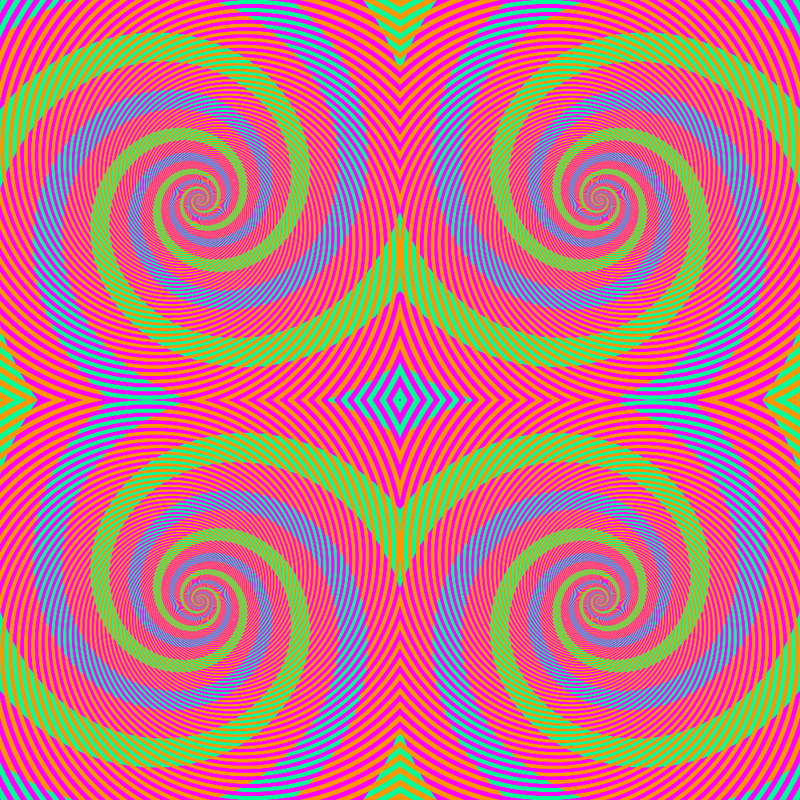 "A group of green and blue spirals"
There appear to be spirals of light green or light blue. 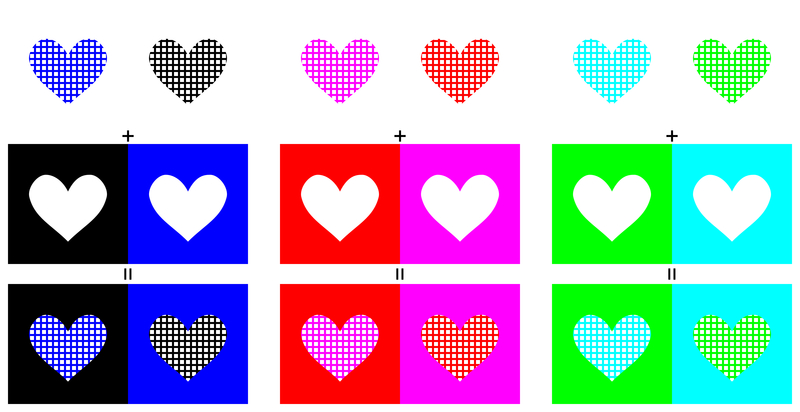 Actually, they are identical (R=0, G=255, B=150).